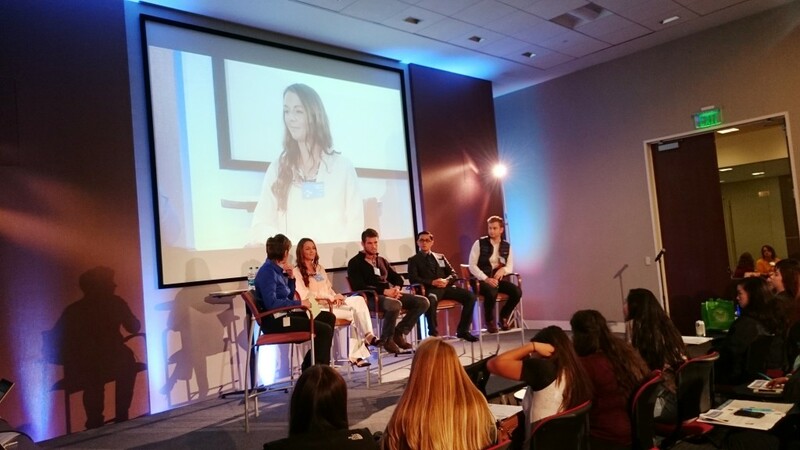 In the afternoon, Jody Hoff moderated a panel of four impressive young entrepreneurs that also was broadcasted live online. * The entrepreneurs ranged in age from 18 to 26 and helm businesses in the food, construction, phone repair, and app development fields. They talked about sources of inspiration, support, financial lessons, and action steps needed to successfully conceive of and run their businesses. A robust Q&A session from both in-person and online audiences capped a spirited discussion. 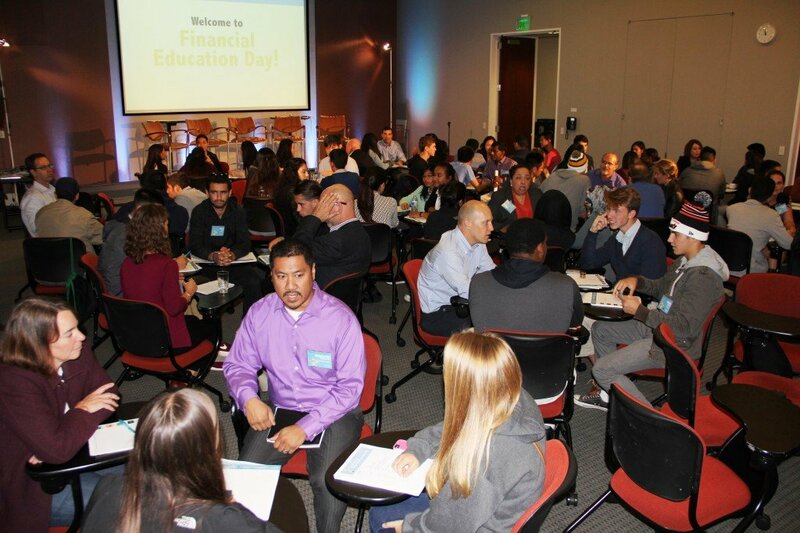 The afternoon also featured a mentoring roundtable session, in which 23 SF Fed employees from diverse lines of work talked about their educational backgrounds and offered career advice. 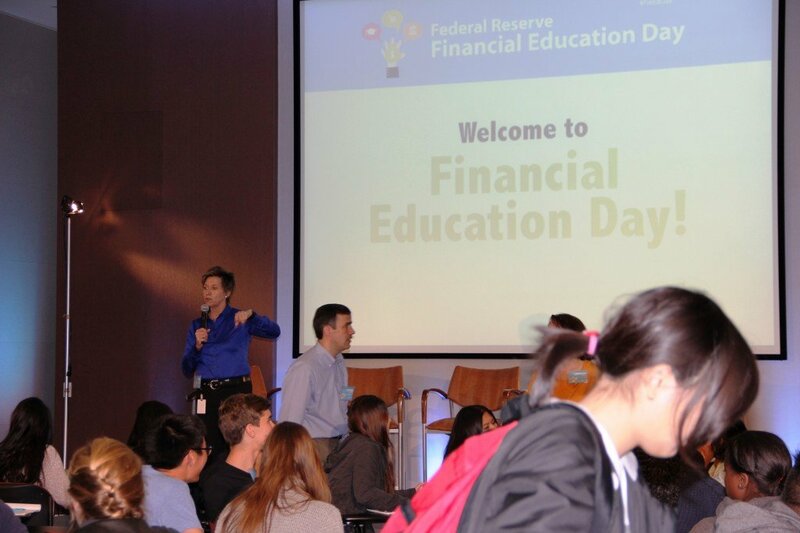 The students asked the mentors questions about what it’s like to work at the Fed, their career paths, and if given a chance to do it over, what the mentors would do differently in preparing for college. 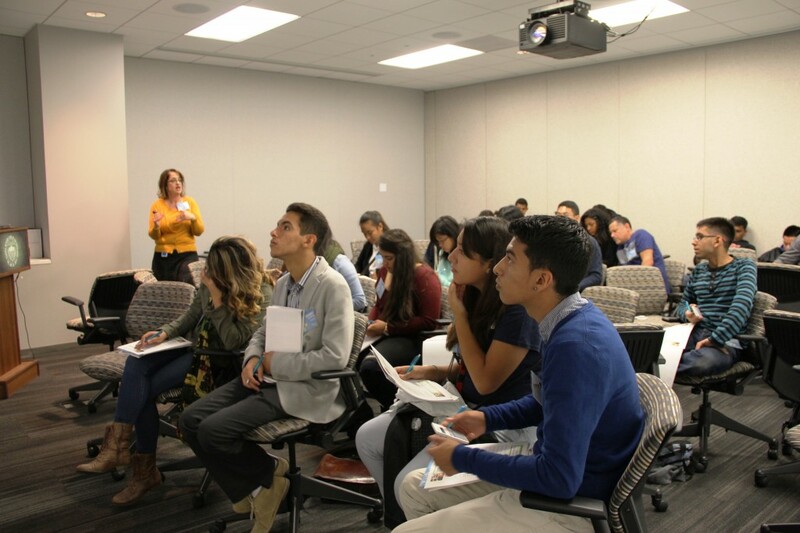 Visit Lesson One of “Invest in What’s Next: Life after High School,” a new course on college and career decision-making created through a partnership between the San Francisco and the Richmond Feds. * A video recording of the panel will be available on www.frbsf.org/education in the coming weeks. This entry was posted in Events, Workshops, Conferences and tagged college, entrepreneurship, personal finance, professional development. Bookmark the permalink.